By now; you will all be painfully aware of the terrible stories in the media today, each one of them from Conrad Murray as “advertisement” from his up-coming book. I felt it important to get online and address this right away. This is again another form of defamation against Michael Jackson. Under normal circumstances, steps could be taken to put a stop to Conrad Murray’s actions with a cease and desist order. In addition; there would be legal ways to stop his book being published. But sadly, these are not normal circumstances because Michael Jackson is deceased. 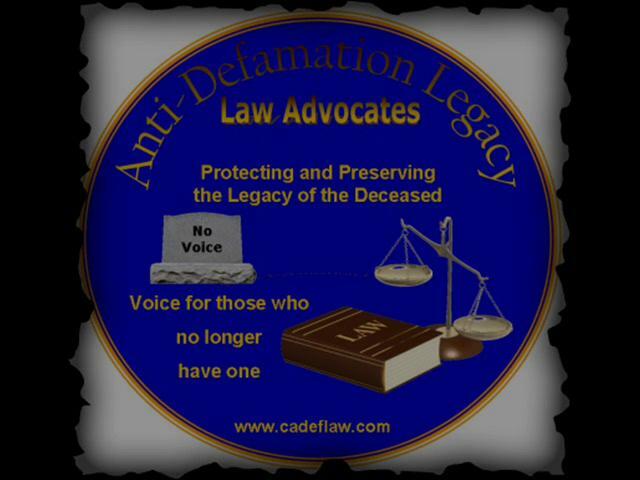 Current defamation laws mean that the deceased have no legal protection from slander in its various forms. 2.) He talks in detail about Michael’s private medical history. Those are the occasions where Michael’s family and his Estate can start civil proceedings against him. Other than that; our hands are tied. But why is he doing this? Yes; we could all surmise that indeed Conrad Murray is a person of the lowest order; determined to make money off the man he killed as a result of his negligence. And yes; this appears to be very much the case. But let’s look at this in detail and bring in other issues and stories circling around Michael at this current time. Let’s cast our minds back to the very public 2005 molestation trial against Michael Jackson and in particular to the media coverage. As Tom Mesereau mentioned; the media were hell bent on reporting every single lurid detail in the prosecution’s favor. During cross-examination by the prosecution, they practically broke their necks to get out of the court room to report every single account – never waiting for the rebuttal from the defense. Michael was very much tried not just in a court of law but in the court of public opinion. Day after day; various media outlets screamed headlines of a “sick, twisted child molester” with a “dark and perverted side.” The facts of the case were completely ignored. Evidence presented in court was twisted to portray Michael as a criminal, long before any closing arguments had begun. The media all but said that Michael was guilty from day one and were ready to throw him in jail right from the very start. Why would the media portray an innocent man in such a dark light? It all goes back to what Michael himself has said many times while he was alive. The media will only write about negative things because that’s what sells a story. A headline screaming “MICHAEL JACKSON MOLESTED BOYS! !” is far more eye-catching than “MICHAEL JACKSON SAVES BOY’S LIFE.” Human beings are curious by nature – and the media rely on this to pique their interest. Doesn’t everybody love a good scandal? It’s rather like a gritty soap opera, except the characters depicted are real. It is a fact that the media were reporting these stories in order to sway public opinion. They WANTED Michael to be guilty of the crimes alleged; despite all the evidence and ambiguities in his favor. Imagine how much money they would make if Michael had have been guilty! They’d have enough material to sell stories for the next 10 years and beyond. And the dollars would just keep rolling in. So many people would have gotten rich off this! Shake down – and Michael Jackson is the target. So why are all these stories coming out now? Next year sees the civil suit of Wade Robson & Jimmy Safechuck. Their legal teams are already preparing their case as we’ve seen in recent reports. Many of the articles we have seen have been published by media outlets who are in SUPPORT of WR & JS. Now I want to make it ABSOLUTELY CLEAR that I am in no way dismissing those who have genuinely suffered some form of child abuse. Not at all. What I am against; are those who make up a lie purely for cash and that is what we are seeing here. 1) That the smear campaign levelled against Michael Jackson will force the Estate of Michael Jackson to settle out of court. Let’s remember the stick Michael got in 1993 when he settled (against his will I might add). The media called it an admission of guilt – and this is echoed today in their continuing reports on the matter. Should the Estate choose to settle; this again could be construed as an admission of guilt and with that; the media will have a field day. 2) Public opinion is swayed so the court find in WR & JS favor. Again; that would point to Michael being guilty. In short; both scenarios are a win-win situation in terms of the media and all those hoping to profit from lies. Unfortunately for WR & JS; the MJ Estate aren’t biting. Wade Robson is playing a game of “throw me millions of dollars and I’ll go away.” The Estate has responded with “we’ll see you in court.” They are determined that WR isn’t getting a single dime for a lie. Would they have settled if Michael was still alive? Probably not. Michael repeatedly said he wanted his day in court and the fact that it was his INSURERS who paid the settlement to the Chandlers, confirms that. Enter Conrad Murray – whose tell-all book is to be released on 29th July. Hello! Timing? Of course it is no accident that his publishers choose right now to release it. Neither is it an accident that he decides to contact the media with delicious tidbits of his “story”. WR and JS have already whetted the appetite of the gossip mongers and the hateful “con-Michael Jackson” groups. Murray has rubbed his hands together in glee and brought out the main course. It’s so easy to make money off Michael when he’s already in the news. All Murray has to do is sit back, wait for the book to be released and watch the money come rolling in. And even better; there is not one thing anybody can do to stop him! The actions of Conrad Murray and the fact that he’s clearly piggy-backing off the WR & JS case is a classic demonstration of why the defamation laws need to change. And this is just the start. We have several other books coming out about Michael’s private life. Why do you think these unscrupulous people have waited until Michael’s death to unleash their stories? Floodgates have opened and there is no dam to stop them. And as we edge closer to Murray’s book release AND the WR civil suit next year; the stories are going to become more and more toxic. We haven’t seen anything yet. Right now; Michael Jackson is easy money – and everybody wants a piece of him. As Tom Mesereau said: “Why work when you can sue Michael Jackson?” Or write a book about him; I shall add. The AdLLaw Initiative is needed now more than ever. Power needs to be given back to the deceased to stop their legacy from being ruined at the hands of those who will stop at nothing to make a profit. You cannot ignore these stories and pretend they don’t exist. With every passing week; the stories are getting more and more damaging. The media have unleashed a tirade of slander to whip the public into a frenzy. It is spreading like an aggressive cancer and the only way to stop it is to cut it out. Signing the AdLLaw petition takes only ONE MINUTE of your time. That’s all. It doesn’t cost a penny. You won’t get spammed out with various emails. You’re not signing up for anything which has an ulterior motive. All you are doing is raising your voice and saying “ENOUGH!” to the lies. We need as many signatures as we can possibly get to get the defamation laws changed. Not just thousands but millions! It truly is the ONLY way we can stop this. Not just for Michael either but for every single deceased person who has or is suffering defamation in death. They don’t have to be famous or in the public eye. It can happen to ANYBODY and EVERYBODY. It could even happen to you! The link to the global petition is below. Will you add your name to it? And please don’t forget to share it as well! The more people who sigh, the more congress will take notice and make that much-needed change to the law! I’m sure you do, but in case you didn’t know: There’s also an article in PR NewsWire, LA, titled: With Trial Date Approaching, Michael Jackson Accuser Wade Robson Wants An End To Secrecy. Robson’s lawyers are asking the estate to give permission for the ‘boys Michael settled with’ to break their confidentiality agreements when they settled. They want them for the upcoming trial in 2017. They even posted a link to the letter they wrote to the estate. I hope the estate doesn’t just settle this. It would be nice if they would at least talk with Mesereau. There was a petition created by S. Kendrick asking that the estate managers call on Mr. Mesereau to assist in this matter but they never responded to it. I saw that article that you mentioned and there are even new attorneys on-board. I hope ppl understand that we in no way support ppl who abuse children, but in this case things are different. Why wait until a man dies and then accuse him of such a crime?